When you work at Swensons, you're joining an 84-year long tradition of great food, great service, great quality and great people that continue to make that all possible. Without the hard work and commitment to maintaining the Swensons tradition of ALL of our employees, we would not be here today. Our managers are dedicated to the hands-on involvement of all food and service quality! Because of this, here at Swensons, we take pride in treating people like people. 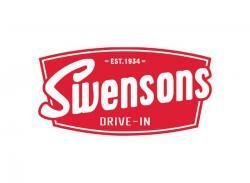 Together, we make Swensons a truly special and more satisfying place to work! No matter the industry or type of work history you may have if: hardworking, friendly and dedicated are three of your top qualities, we would like to have you as a part of our team. Applications for the preceding positions are always welcomed. If you like a new challenge every day, enjoy working fast and to keep moving, don't worry, you'll fit right in!